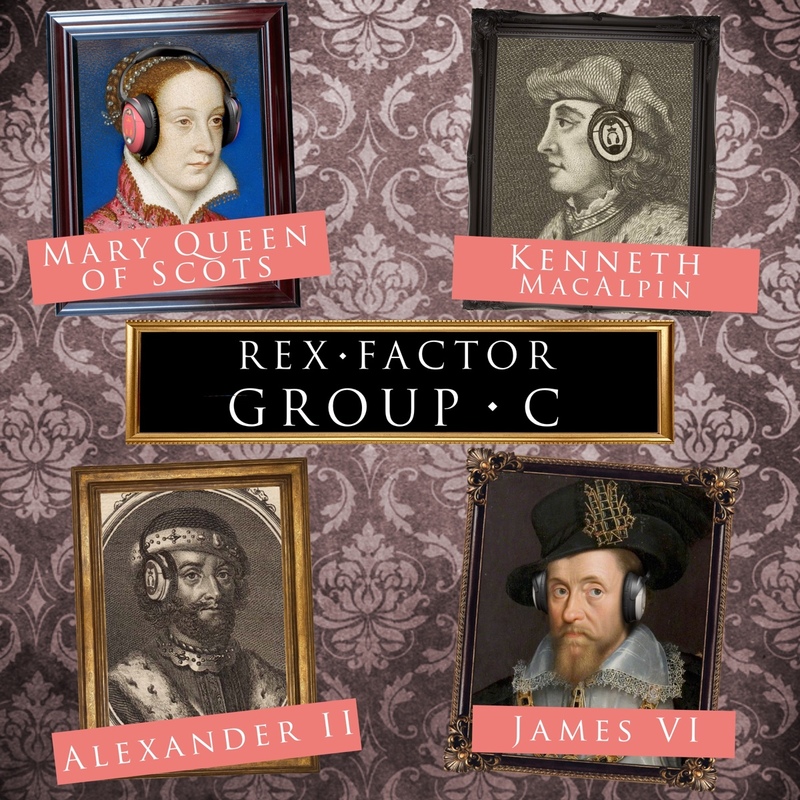 If you’ve listened to the Group C podcast or have already made your mind up, then you can vote for who you want to win Group C here, but if you want to refresh your memory, here’s the lowdown on the four monarchs asking for your vote in Group C – will it be Kenneth MacAlpin, Alexander II, Mary Queen of Scots or James VI? The traditional first King of Scots, when Kenneth MacAlpin became king in 843 there was no clearly identifiable nation called “Scotland”. Instead, there was a series of smaller kingdoms – the Picts in the north and north-east, the Anglo-Saxons in the south-east (Northumbria), Britons in the south-west (Strathclyde/Cumbria) and the Scots in the west (Dalriata). The Picts were dominant in the 9th century until a disastrous defeat at the hands of the Vikings in 839 wiped out most of the royal family. Kenneth took full advantage, spending five years seeing off a series of Pictish kings before establishing himself as undisputed ruler of Scots and Picts. How he did this is a matter of debate – one account suggests that, irked by the Picts kidnapping his favourite dogs, he persuaded his reluctant nobles to go to war by dressing up as an angel using fish scales and visiting them at night as if sent by God. Another story has the crafty Kenneth inviting his rivals to dinner, only for the benches the Picts were sitting on to fall down into a pit of spikes, killing them all! 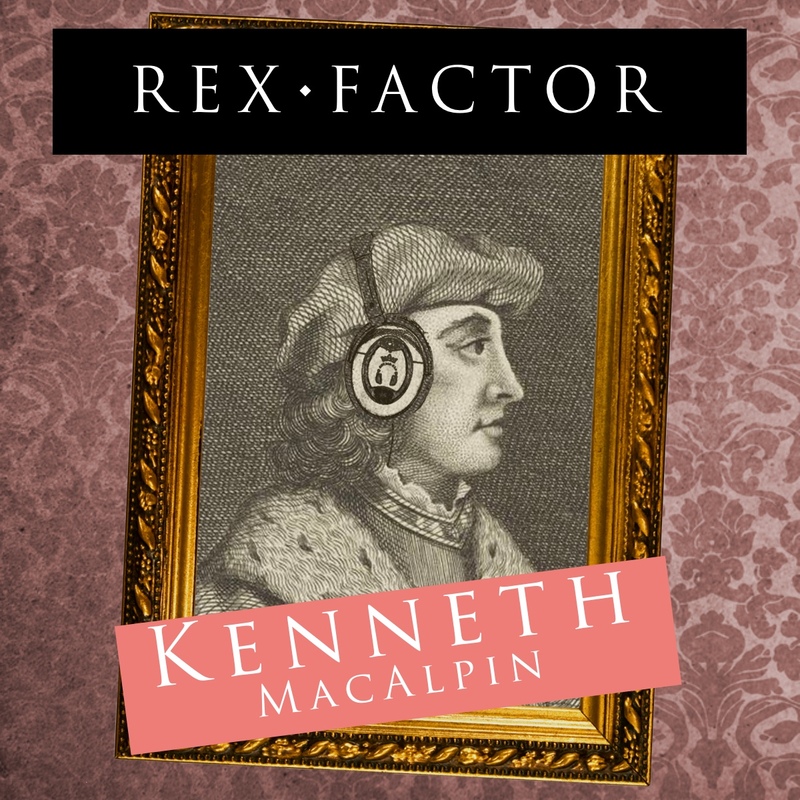 Kenneth was clearly a powerful ruler, invading Northumbria on six occasions and laying the foundations for the later acquisition of Lothian by taking Melrose and Dunbar. He saw off a resurgent Strathclyde by making a marriage alliance between one of his daughters and the king’s son, while the marriage of his other daughter, Mael Muire, to the High King of Ireland would prove the salvation of his grandsons when they were forced into exile twenty years later. Arguably, Scotland was still not fully formed as a concept under Kenneth, but he oversaw a spiritual new beginning by transferring the relics of St Columba (the father of Scottish Christianity) from Iona to Dunkeld and started a royal dynasty that endured so well that Elizabeth II is his direct descendant. Alexander II was only 16 when he came to the throne and, despite being over 300 years later, Scotland was still incomplete compared to the modern day – the northern and western isles were ruled by Norway, while the territories of Moray, Caithness and Galloway on the mainland were largely independent from the crown. What’s more, he was opposed by a rival dynastic family (the MacWilliams) and his father had been forced to submit to King John of England. These were all grey areas that Alexander II refused to accept and by the end of his reign, Scotland was a far more powerful country. When King John faced war from his barons and the French Dauphin, Alexander took advantage by claiming much of northern England then marching as far as Dover to pay homage to the Dauphin. John’s early death and the end of the Dauphin’s invasion forced Alexander to return the land gained but he was rewarded with a marriage to Henry III’s sister and an acknowledgement of the Anglo-Scottish border. He brutally brought an end to the MacWilliam threat (both in battle and by bashing out the brains of the last in the line, a baby girl), bringing Moray into the royal fold. Caithness fell under his control when a Norse Jarl allowed Alexander’s bishop to be killed in a hall-burning – Alexander called the Jarl’s bluff, brought the killers to justice and took over Caithness when the Jarl was killed after losing face to Alexander. Finally, he set his eyes west, capturing Galloway from an agent of the Norse king, Haakon IV, before raising a huge army and armada in preparation for an invasion of the Western Isles. 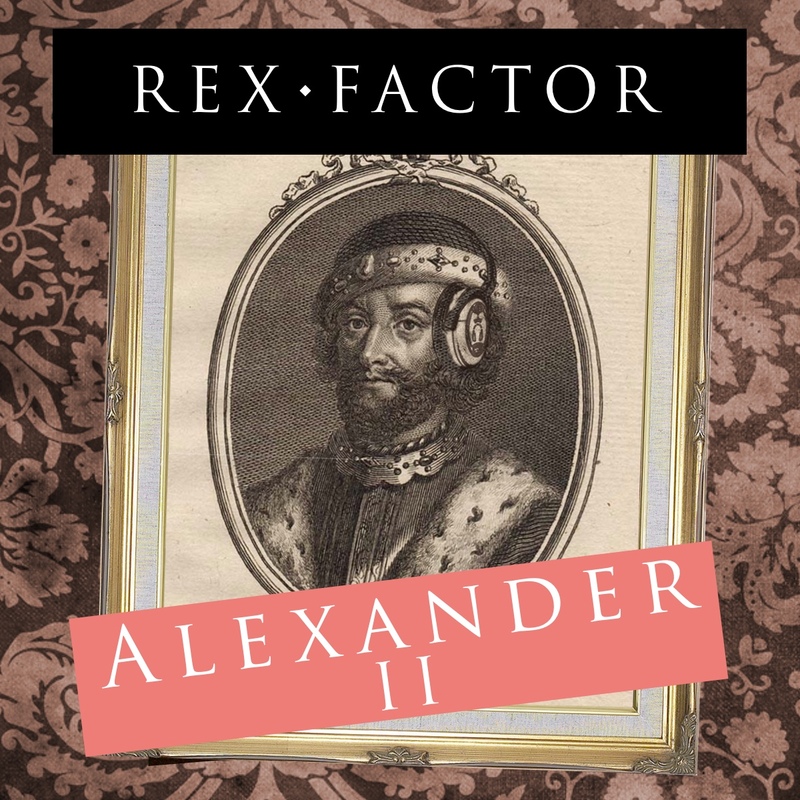 Sadly, Alexander fell ill and died just as the armada was about to begin, leaving the Western Isles still out of Scottish hands, but all of mainland Scotland was (for the first time in history) Scottish. James VI was the son of Mary Queen of Scots, succeeding her as a baby when she was forced to abdicate. His childhood was lonely and unsettled – a succession of regents met violent ends during a six-year civil war and his tutor, George Buchanan, would beat him in a bid to subdue the young king into an acceptance that the Presbyterian Kirk was supreme over even the monarchy. Buchanan succeeded in turning James into a great scholar but failed in his bid to indoctrinate him – James was a passionate believer in the divine right of kings and over the course of his long reign gradually re-established the supremacy of the crown over the church. He also faced a violent and divided nobility and it took him some twenty years to restore stability. Like his mother, his diplomatic priority was to be recognised as Elizabeth I’s successor in England and where his mother failed, James (crucially a Protestant) succeeded – Elizabeth never formally acknowledged James, but he endeavoured to remain in her good books (including being notoriously forgiving when his own mother was executed) and made an ally of her chief minister, Robert Cecil. As a result, when Elizabeth I died in 1603 James VI of Scotland was crowned King of England – after centuries of warfare and attempted conquest by England, there now was a Scot on the English throne, a Union of the Crowns and the first Scot crowned on the Stone of Scone since John Balliol in 1292. 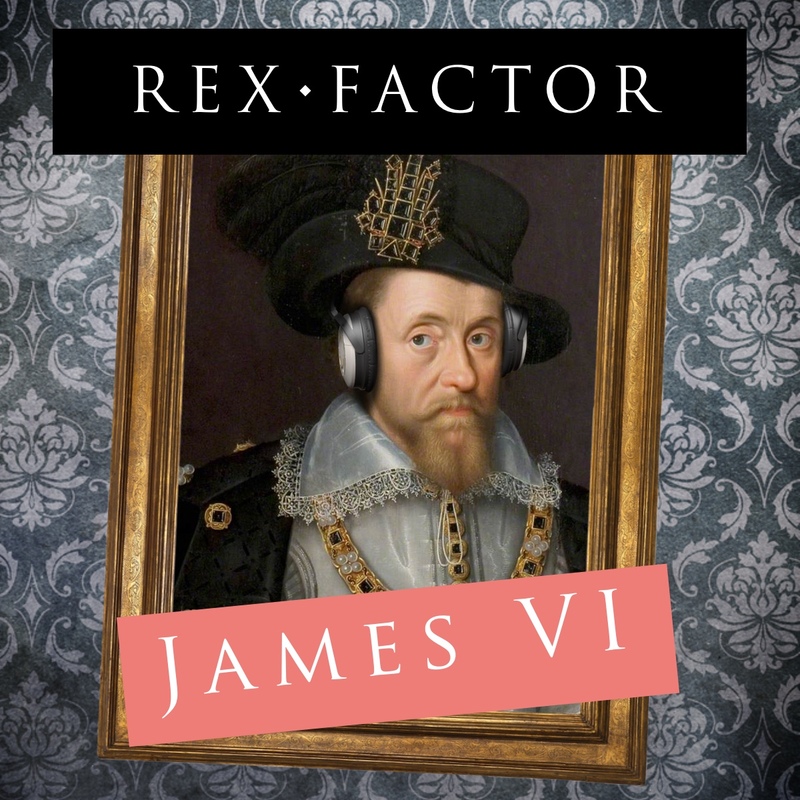 As King of England, James made peace with Spain, pacified the Anglo-Scottish border and commissioned the King James Bible (perhaps the most influential book in the English language). He failed in his bid to create a new country of Great Britain to unify his two kingdoms, but the idea survived him and he did oversee the creation of the Union Jack. He only returned to Scotland once, in 1617, but was able to boast that he ruled Scotland with a pen while his ancestors struggled to do so with a sword. 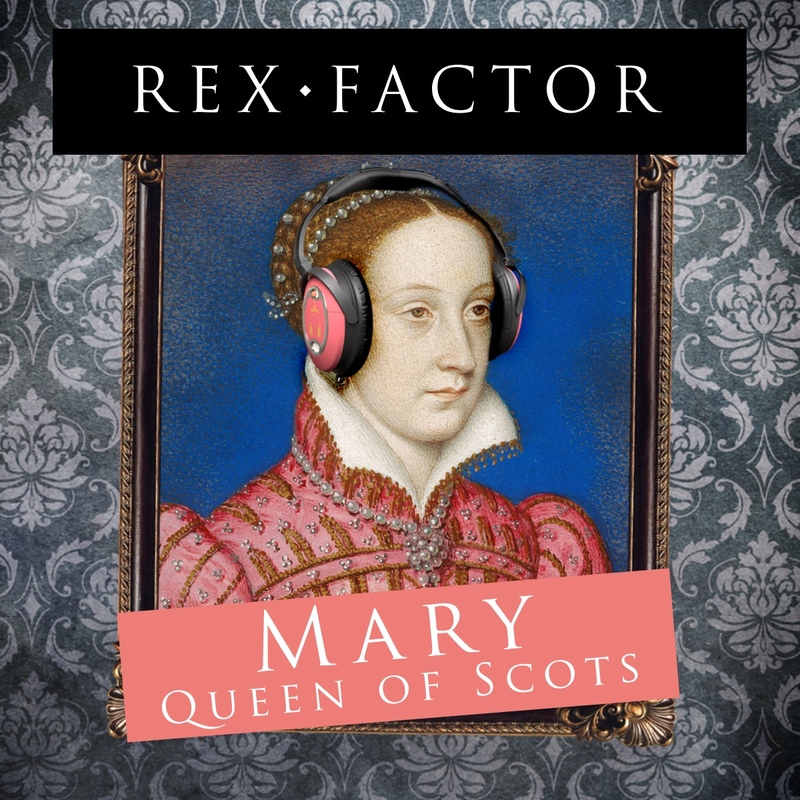 Of course, they ALL have the Rex Factor, but who do you think is the greatest of them all? Ali and Graham have both voted but the public vote will be crucial to decide who gets through to the Grand Final. For more details about the monarchs, read their individual blog entries, listen to their podcast episodes or (to hear a comparison of them all, factor-by-factor) listen to the Group C play-off episode. Once you’ve made up your mind, click the link below to vote for who you think deserves to go through to the Grand Final.